Welcome to the e-Book Cover Design Awards. This edition is for submissions during April, 2017. James Egan submitted Plague of the Shattered designed by James T. Egan of Bookfly Design. JF: Deliriously well done. It’s not easy to create three levels of focus—the castle, the stonework “window,” and the title type—and have them actually work. This cover does that while it establishes a strong identity for the book and its series. JF: Beautifully combines the promise of the title and the purpose of the program in one, memorable, graphic design with a completely appropriate color palette. AK Lakelett submitted Remember Me? designed by James. JF: A clever and atmospheric cover but I’m not sure it’s helped by the unusual title treatment. You? Alessio Cala submitted Forgotten Liberty designed by Alessio Cala. JF: I like the idea, but in this version it doesn’t work because the type is weak and the images don’t combine well. JF: Sadly, I disagree. The overall effect is so ghostly and static it will be easy to miss. JF: Good decision. 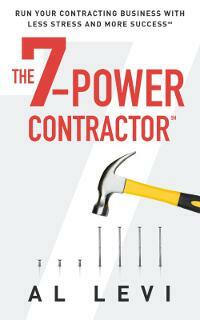 This cover has a nice air of mystery and menace, and will appeal to thriller readers. JF: A pretty effective cover, except for the subtitle which is completely illegible. Bev Stout submitted My Name is Nissa designed by Joshua Etteldorf. JF: Seems to cover the “fantasy” part while ignoring the “urban” part, and overall it looks quite a bit too timid. Brian Converse submitted Rajani Chronicles I: Stone Soldiers designed by Lawrence Mann. JF: A few too many people populating the “back turned to the audience” on this cover, muddying the effect. JF: Simplicity works well here, but shouldn’t the Raven/Crow be flying higher up on the cover? Chris Ledbetter submitted The Sky Throne designed by Najla Qamber Designs. JF: Good, and the medallion at the center works as a focusing device. JF: Much of what you describe doesn’t come across, perhaps because you’re trying to squeeze too many things into the cover. The type also needs an upgrade because it’s contributing nothing to the overall effect. JF: Thank you! This would be stronger if the title was enlarged at least 20%. JF: Artful and intriguing. The drawing style will help it stand out. Cora Graphics submitted Di Ghiaccio e Oro designed by Cora Graphics. JF: The beautiful heroine helps to sell this carefully constructed cover. Cora Graphics submitted Prime designed by Cora Graphics. JF: The “looking through the porthole” meme is powerful, but in this case with so much going on in the scene beyond, the double planets create visual confusion that doesn’t help the cover, which is otherwise very professional. Cora Graphics submitted Dating the iit Guy designed by Cora Graphics. JF: A lovely cover (love those stars) that isn’t helped at all by the arbitrary horizontal while lines emanating from the title. Why cut the image that way? Cora Graphics submitted Born designed by Cora Graphics. JF: I like the saucy woman, but it looks like she’s dwarfed by the chair. Zooming in on her might have made it a stronger cover. JF: A cover that really suffers from the attempt to cram too many images and ideas into it, and the very weak typography that’s only marginally readable. JF: Many good things here, but putting the highlight into the person’s eye makes it compete with the strong highlight on the gold seal/coin thingy. Likely better without it. JF: Attractive and interesting, with very careful typography. But once again, nothing whatsoever on this cover indicates “urban,” quite the opposite. JF: A solid genre design that highlights the protagonist. JF: Another strong series design, this one for historical mysteries. Note that in addition to the usual changes of color and titles from one book to the next, here the designer has also used three different poses for the woman at the center of the cover; one from the back, one from the side, and one from the front. JF: I suggest hiring one of the terrific cover designers whose work you see in this post. JF: Brutal but effective. Although I’m not a fan of the “crossword” style title, this cover honestly reflects the content. JF: A charming cover, but I think it would be even better if you changed the color of the rule from black to something softer. JF: A dark and nightmarish cover, but I wonder if people will be attracted by the depersonalized figures representing the characters? Definitely claustrophobic. JF: A dynamic illustration that doesn’t need the black band at the bottom, and although it’s great, it shouldn’t be allowed to push the title into insignificance. JF: The illustration style is interesting, but there are way too many elements, characters, ornaments, lines, and so on on this cover to present one, unified offer to the reader. Jade Zivanovic submitted The Bus Blogger designed by Steam Power Studios. JF: I like everything about this very hip cover… except that white box. Maybe it’s just me? James Egan submitted Pursuit designed by James T. Egan of Bookfly Design. James Egan submitted Dark Descent designed by James T. Egan of Bookfly Design. JF: A solid action/thriller cover with the one detail—the figure in the lenses of the binoculars—that brings it all together. JF: Another winner, with distinctive type and interesting contrast between the girl in “cool” colors and the inflamed surroundings. Julia Byrd submitted Gray Places designed by Elle J Rossi. Ken L Gould submitted Death’s Grip designed by Ken L Gould. JF: Doesn’t actually look like a book cover to me. JF: Some nice touches, but all the texture etc on the clock face makes it even harder to see the far scene. JF: Does the American flag motif mean this is an American problem? Kim Rutter submitted The Banker’s Wives designed by Kim Rutter. JF: Could be a strong photo, but the designer has no idea what to do with it. JF: The typography is good, and so is the postcard background, but the 2 other visuals are very uncomfortable (i.e. the juxtaposition of sharp objects and eyeballs) and just seem to be floating in space. Lacey Dailey submitted Extraordinary You designed by Tristan Shimmons. JF: Lovely artwork, but the title should stand out more. JF: Unmistakably self-published, and not in a good way. I suggest hiring one of the great designers who show their work here, it really does make a difference to your sales. Marisa Shor submitted Garden Of Goodbyes designed by Cover Me Darling. JF: The motif is interesting, but the title is hard to read. Marisa Shor submitted Missed Connection designed by Cover Me Darling. JF: A solid cover in which the title treatment mirrors the idea of the title itself. Marisa Shor submitted Lucky 13 designed by Cover Me Darling. JF: A good layout, attractive image and imaginative typography, but all is being washed out by the low contrast. Marisa Shor submitted Bound designed by Cover Me Darling. Mark Dame submitted Dark Ties designed by Damonza. JF: A strong cover with menace and many interesting touches. Notice how the branches change from positive images to negative ones. Marshalee Patterson submitted Predestined Love designed by Yanique Hamilton. JF: Awkward and ineffective, and the type is tortured. Marshalee Patterson submitted The path of the chosen Warriors designed by Yanique Hamilton. JF: See my comment above, ditto. JF: Considering your colorful and interesting description, I wonder why the cover is so static and uninteresting. And the combination of the black and white with color graphics is jarring. Mike Crowl submitted The Disenchanted Wizard designed by Regan Nicholls. JF: Clever, with a load of story implication in the three faces. Natasha Snow submitted The Gaia Protocol designed by Natasha Snow. JF: A lovely composition although I wonder about the font choice for the title, which also appears to be blending a bit too much with the background. Natasha Snow submitted Peter Darling designed by Natasha Snow. JF: Another good idea, although I wonder if the figure of the boy and the type in the center aren’t both too small, since they seem to be very subservient to the clouds. Natasha Snow submitted The House Next Door designed by Natasha Snow. JF: Solid genre cover, and the “doubled” image of the woman is very effective. Type design helps to emphasize the genre, too. Natasha Snow submitted The Island designed by Natasha Snow. JF: Adding the sand dollar was a great idea, helping, along with the type that’s integrated with the scene, to set the stage for an interesting read. Natasha Snow submitted The Gift of Gravity designed by Natasha Snow. JF: I agree the image is arresting, but when combined with the title’s emphasis on color, it becomes ironic. Rena Hoberman submitted Remnants of the Erased designed by Rena Hoberman of Cover Quill. JF: A well-focused cover, although the type looks a bit attenuated. JF: Some good ideas and interesting type treatment, but the combination of the images has made the large symbol appear to be the woman’s mouth. JF: A strong image that needs much better typography. JF: Thanks for being an attentive reader, Scott, but it appears to me that if this cover really communicated its genre you wouldn’t need that big sans serif header up there proclaiming it and you would have cleaned up a busy cover that really needs it. JF: I’m surprised you felt you had to add another noose to the image. JF: I can’t see any connection between the almost fluorescent blue type and the background image. JF: I agree the image is very affecting and could make a great cover, but you would need to hire a designer to put it all together with a type design that actually makes sense. 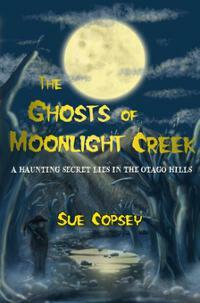 Sue Copsey submitted The Ghosts of Moonlight Creek designed by James Copsey. JF: Some nice creepiness here, I think I would have gone much larger with the title. Susan Wisnewski submitted Road Trip Revenge designed by Jessica Bell. JF: Good mystery cover that promises lots of thrills. Love that raven, too. T.G. Ayer submitted Blood Magic designed by Eduardo Daniel Priego. JF: A well thought out cover that will appeal to fantasy fans. Notice how the top of the cover has both blue and red areas that seem to compete with each other, but as you go lower, the color turns to purple—a combination of the two. JF: Seems pretty lucky to find this image of a merman. The type needs an upgrade, it’s not helping the cover much. JF: A lovely design that shows us the kind of environment you’ll find in the book. Well constructed, with expert type, the only thing I find unusual is the prominence and sheer amount of space given to the series branding ribbon. JF: An intriguing cover that makes you want to look at it more closely, like a visual puzzle. It probably works better as a paperback, because at this size it’s just about impossible to make sense of some of the image pieces or how they relate to the whole. Towfic Kassis submitted Confessions of a Caped Crusader designed by Towfic Kassis. JF: A strong and arresting image, but the type seems to have received much less emphasis, and the overall lack of contrast makes the effect of the title etc. at the top very muted. JF: Victoria, I tend to agree with you, but in this case the title/subtitle element is very weak and isn’t enhancing the effect of the cover, it’s diminishing it. viel nast submitted SAVAGE SWORDS designed by ANDERSON1974. JF: Looks more like a sketch for a cover than a cover itself, and the way all that type is squeezed into a narrow black band at the top is, frankly, painful. JF: But you’re not going to expect us to read that, are you? All that busy-ness in the background does not help communicate, and I’d be surprised if this wasn’t a more effective cover if you just deleted it entirely, or just showed it as a stack of papers. donna Stewart submitted Yoga Mama’s Buddha Sandals: Mayans, Zapatistas and Silly Little White Girls designed by donna Stewart. Jay Perdue submitted Mary not an American woman designed by Jay Perdue. JF: Got some issues left over from the marriage? This is the kind of cover that the phrase “Over the top” was invented for. And I don’t mean that in a good way. JF: The image is so complex it lacks much impact, and I can’t read the type at the top, so all in all, not so good. JF: Attractive, with good typography. Needs a border to display properly on white backgrounds like web pages. JF: The strong type on this cover really helps, but the image creates a lot of visual confusion, starting with the question why most of it is a picture of a tower? A close up or “portrait” of the dog might have worked better and been a more cohesive overall design. Still, a lovely tribute to a beloved companion. Nikos Dimitriou submitted traveliving | a romantic & practical guide designed by Nikos Dimitriou. JF: Type-on-photo cover, and as usual with these covers, the image is much stronger than the type. JF: The clean look and crumpled paper “light bulbs” help to sell this title. Not so sure about the red band, and it needs a border to help when on white backgrounds like this one. JF: I admire the courage to take on a tough subject, and an abstract approach is probably the right one, but I object to the palette, since everything associated with the disorder is hot, itchy red, and painful. JF: In this case the typography is good, because it stands out and expresses the pain of this disease, but I fail to see any connection with the placid water. “Could be a strong photo, but the designer has no idea what to do with it.” Thanks for the honest opinion! Any tips on what I should do with the photo? Kim, unless you plan to study graphic design, I suggest you give the photo to a cover designer and see what they can come up with. And thanks for participating. If you’re like me you don’t have money for a pro or years to spend in school. What’s wrong with your photo is it’s too dark, too “muddy” and doesn’t make a statement. You want to put it in an editing program (I use PhotoScape and Pxlr, both free, pretty powerful and don’t take years to learn.) You want to mess with the contrast, make it brighter at the top. Make it dramatic. Your name is too small. People look at ebook covers at 60x90px according to Mr. Friedlander. Your name and title need to be legible at that size. Go look at pro covers on Amazon. 1/3 for the Title, 1/3 for the author. Don’t be afraid to put words over the image. There are a couple of design forums where people post stuff and those who do have education comment. It just takes a ton of work. Dedicate an hour a day, or a few hours a week just learning this if you have to do it yourself. It took me a year to figure out how to make a pretty decent cover and I’m redesigning all my titles this summer. You gave Plague of the Shattered a big win. But these are eBook covers. In your article “15 Ebook Covers: Success and Failure in the Kindle Store,” you say those covers must work at 60x90px. This one you gave the top prize to, is visual glop at 60×90. Maybe not “judge a cover by the cover,” which is what you are doing now. How about: Judge a cover as an eBook, instead? I submitted a cover for Dark Twin on February 9, and haven’t seen it anywhere. Was it not selected for comment, or did I just miss it? I’ve emailed you to explain why your submission wasn’t included. So happy to see the book covers for The Rose Shield series here. Deranged Doctor Design was on time, professional, and these covers were perfect for my books on the first try. Great choice on your part, it’s a series that really stands out for the way all the covers communicate to readers. Flattered that Plague of the Shattered was chosen as this month’s winner. As always, it’s great to read your feedback on all the entries. Thanks for keeping the contest going. I look forward to it every month. Thanks for entering, James, and for the visual inspiration your covers give to the rest of us. While you always seem to comment on white backgrounds needing a border of some sort (as you did again on certain books for this month), for some reason you didn’t seem to mind the white edges on “Marching on Together.” Even though it has some horizontal elements that run off the edges, it still feels like it needs a little tweaking especially with the top and bottom angled lined with the little men walking. Those lines look like they’re floating in space so it feels very awkward (at least to me). And why is the top guy walking in the middle of the line instead of on the line like the rest are? I’m sure there was some deliberate thought to that but just something I noticed. I always look forward to this post and share it as it’s a great learning tool. 🙂 Thanks for taking the time to do the contest. I felt there were enough color elements to pretty well define the “edges” of the Marching cover, but a border is usually a good idea. Thanks for your feedback, and for following this feature so closely. I agree with your first-place entry. I’ve not read it, but the cover for Plague of the Shattered probably does convey the book’s plot and that’s important. Like “Plague” and “Shattered,” it conveys a sense of disaster. Titles, covers and content should share a common feel. But oddly enough, I also like “22” for its clean visuals, even though its prettiness contrasts with its murderous theme. Perhaps it’s the placement of that innocent butterfly alongside a gun that creates a sense of mystery. I would give that author, and others, a word of advice. Before settling on a title, check out what search results Amazon gives for your idea. Searching for “22”—there seems to be no subtitle, turns up 100 pages of hits, and this “22” isn’t on the critical first two pages. Any book that includes “22” anywhere, including the publication date, is likely to beat it out in the list. That is especially true if that other author is is a big seller such as Joseph Heller (Catch-22) or Stephen King (Dark Tower came out on “2011-06-22). Even a slight tweak can make a big difference. My most recent book, Embarrass Less, is not only unique enough to hit to top of Amazon’s search results. I later discovered I’d made a lucky pick. If I’d made the title “Less Embarrassing,” a more pedantic description of its theme, the Google search results would have been endless before my book came up. By making it an imperative and less common expression, I moved it up the search results. And that’s another suggestion. Try your title out in Google too. Ideally, none of the hits it draws will be that popular. If you make your book title the name of a rock group, however obscure, that rock group will dominate search results, burying your book far down. The best titles are short, catchy, memorable and unique. That’s hard to do, but possible. When I start a book, I always open up a document in Scrivener called “Title” and into it I place any idea for the title and subtitle the instant it comes to me. By the time I finish the book, I may have a dozen or more combinations to select from. And the one I choose is typically not my first idea. Last comes my usual complaint. Many of the other covers would be better if someone had screamed out to their designer, “Don’t touch that saturation control!” The use of too much or too little color saturation always strikes me cheap. It suggests that no one involved in the process knew how to handle colors. They didn’t intend to make the color that bright or that muted. They just did not know what they were doing. That may not be true, but impressions matter. If it looks cheap, people will think it is cheap. –Michael W. Perry, Inkling Books. Thanks for entering, Christopher, always happy to see Matt’s work here.